John Hennessey is our favorite Texas-bred mad-man. 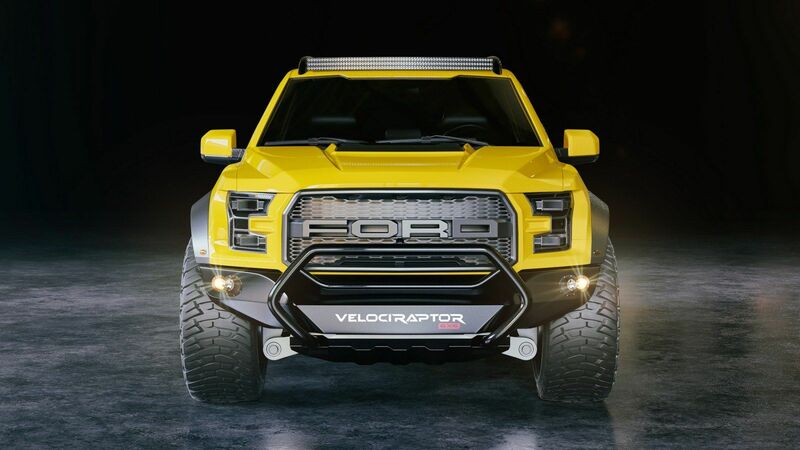 He has duked it out with Bugatti on America's behalf, and now, he's looking to trump the insanity of Mercedes' monstrous G63 AMG 6x6 with this rendition of the Hennessey VelociRaptor. 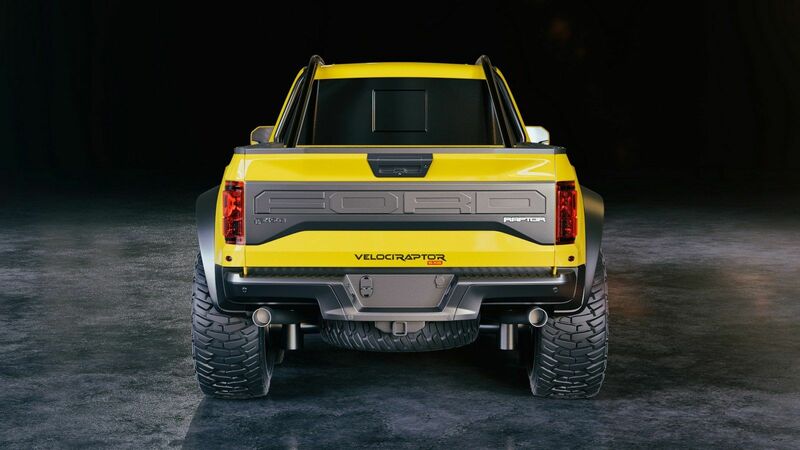 Six wheels and the option of over 600 horsepower make the tuning company's latest mega-offroader as absurd as you'd expect, and it'll be debuting at next week's SEMA show in Las Vegas, Nevada. 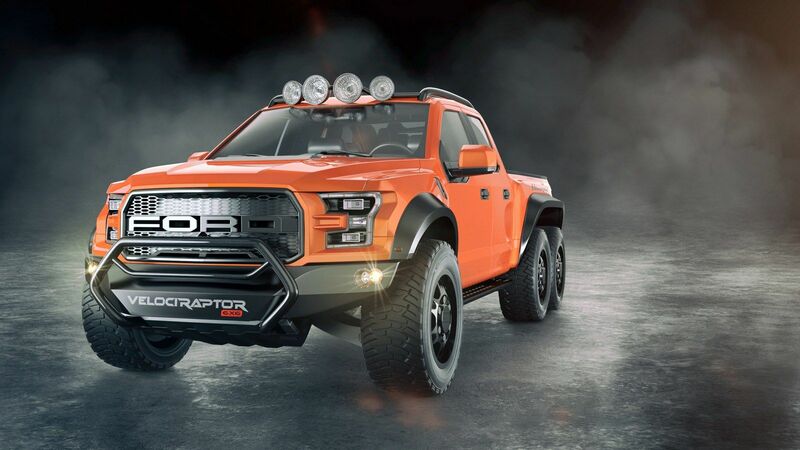 The VelociRaptor 6x6 has a base price of $295,000 which can quickly take a steady hike once you start fitting all the optional extras. While the two extra 20 inch wheels, beefier suspension setup, heavy duty bumpers, a roll bar, and an LED light bar are standard, you can go on for days upgrading the truck's appearance and performance. 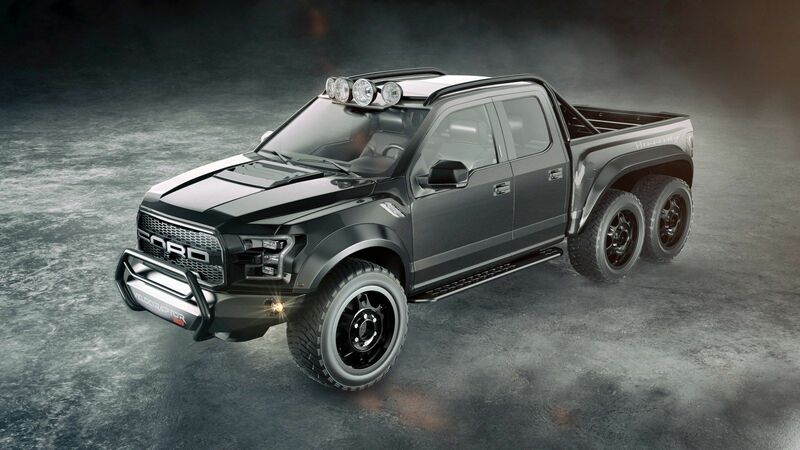 This includes a massive power bump from the truck's original output of "only" 450 horsepower to over 600 ponies. When paired with the available heavy-duty Brembo brakes, you could have what is perhaps the most capable turnkey package to take to the dunes, or wherever else you want, with your riches. Customers can then go the extra mile by customizing the VelociRaptor 6x6's interior however they want. If you're more of a simple man, it can be as bare-bones and simple as you'd like. Additionally, if you're the Sultan of Brunei, you could equip it with essentially any luxuries you'd like this side of a Rolls-Royce. Then again, you could opt for the military-grade body armor package and say "f**k it" to forget about everything else, which we recommend. Hennessey will also be revealing the Venom F5 supercar at SEMA which is expected to be even faster than its original world-beating hyper-exotic. Altogether, it looks like it will be quite the show for the American brand, and you can expect plenty of viral videos once customer cars are delivered. The Bugatti killer is back, this time with a car built from the ground up.